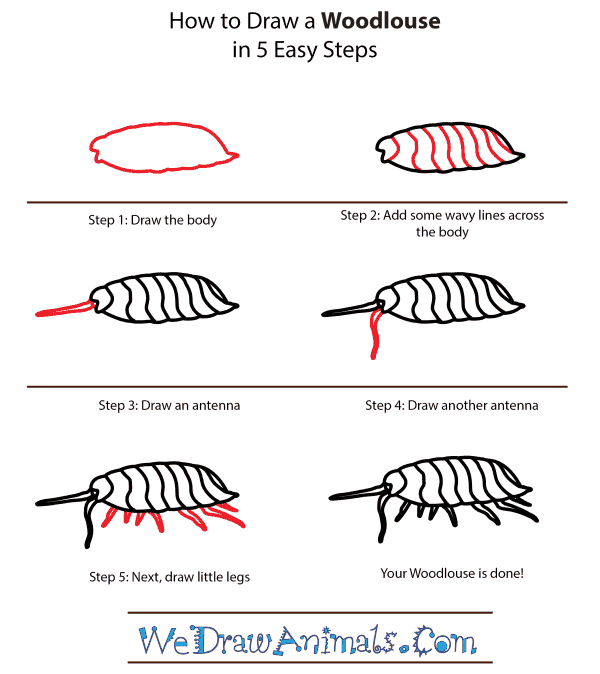 In this quick tutorial you'll learn how to draw a Woodlouse in 5 easy steps - great for kids and novice artists. 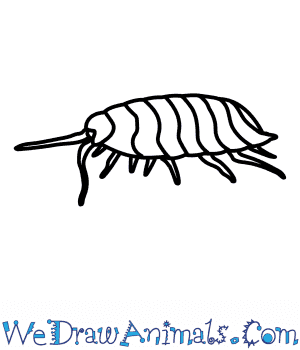 At the bottom you can read some interesting facts about the Woodlouse. 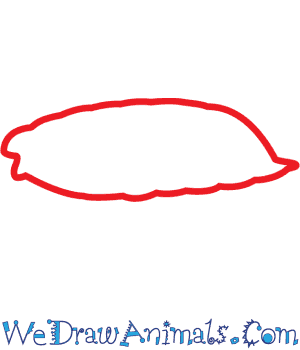 Step 1: Draw the shape of the body, which is a long fairly oval shape with irregular lines. 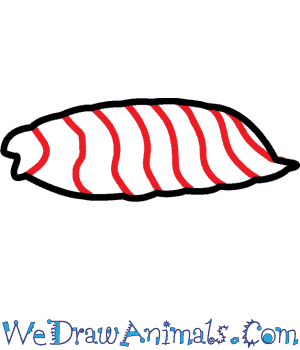 Step 3: Draw one long, pointed antennae out of the head. Step 4: Add the second antennae. 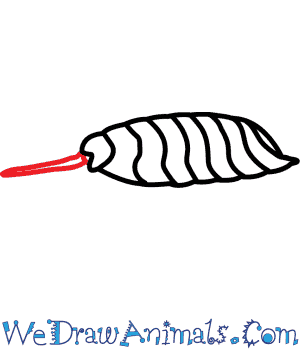 Step 5: Finish your drawing of the woodlouse by adding many tiny little legs to the bottom of the woodlouse. 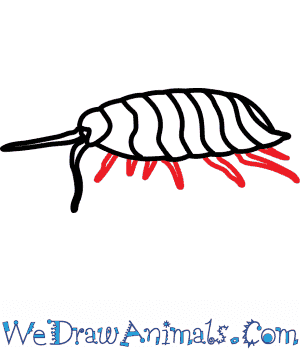 The Woodlouse is another Crustacean relative of lobster and crab. They have a very tough exoskeleton that Is molted off every two months to help with growth. There are two phases to the molt. Habitats include very dark and wet places in areas near the shore. They are a pest because they eat young seedlings but are considered life savers due to eating decaying plant material. 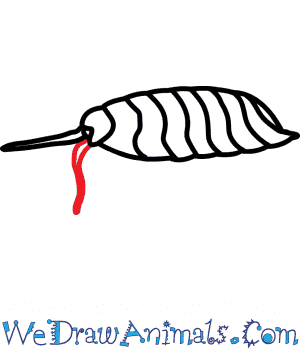 Lesson Plan Idea – Study the eating habits of the Woodlouse. What is it that they do during this time that fertilizes the land? How much of an area do they fertilze?